After you have been through the ups and downs of adjusting the pH level of your spa or hot tub, you just want everything to stay steady for a while. Your spa and hot tub are supposed to give you great pleasure, and not cause you trouble and worry. When your pH level is in the clear, you'll want to introduce a liquid pH Balancer to the spa or hot tub water. It will prevent further fluctuation of pH and keep it at the proper level for an extended period of time. The pH Balancer by Leisure Time aims to provide an easy-to-use formula that will balance and paintain a proper pH level for three months after application. Are you looking to strike a balance? IMPORTANT - DO NOT USE IF CALCIUM LEVELS ARE ABOVE 150 PPM. pH balance will soften hard water and create a cloudy white pool. If this occurs, remove filter cartridge and clean completely. 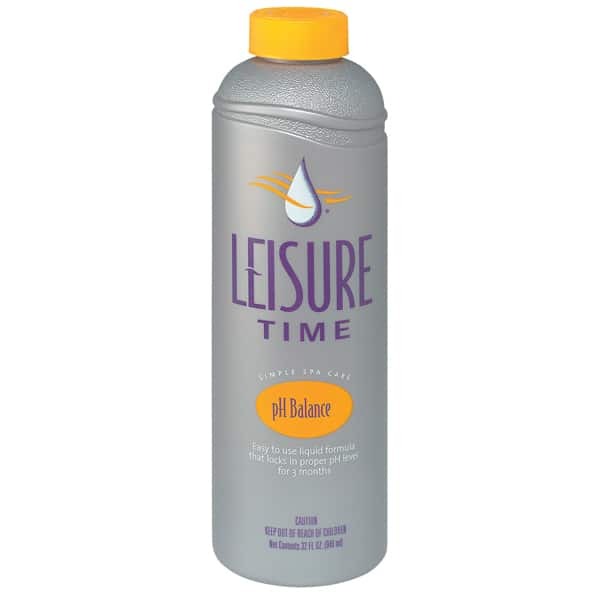 For a larger amount try pH Balance Plus by Leisure Time. Sodium Bromide - 16 oz.